Serving Oklahoma for more than 30 years! 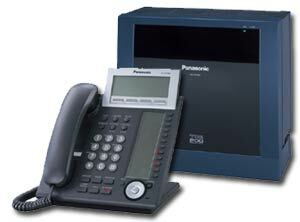 CCS is partnered with Panasonic USA to provide sales, installation, and support for their TDA Hybrid IP PBX, TDE and NCP Pure IP PBX business telephone systems products, as well as sales, installation, and support for their TVA digital voice processing systems. Whether expanding your existing digital phone system, adding VoIP (Voice over IP) users to your existing digital phone system, or wanting to migrate to a total VoIP system, Panasonic has a solution. We continue to service, and maintain, several of the Panasonic "legacy" systems such as the TD816, TD1232, and even a couple of TD500 PBX systems. CCS has also partnered with Adtran to provide industry leading data networking equipment such as the NetVanta series switches and routers. In conjunction with supplying networking equipment, being a Leviton certified dealer enables CCS to provide the networking cable infrastructure required by today's business networks. "We are proud that those we serve not only come back, but send others. Repeat business and client referrals tell us we are continually exceeding expectations." Content copyright © 2015 CCS, all rights reserved.